A Milwaukee business man with a background in law enforcement tells TODAYS TMJ4 he fell victim to a tax fraud and wants to warn other taxpayers. 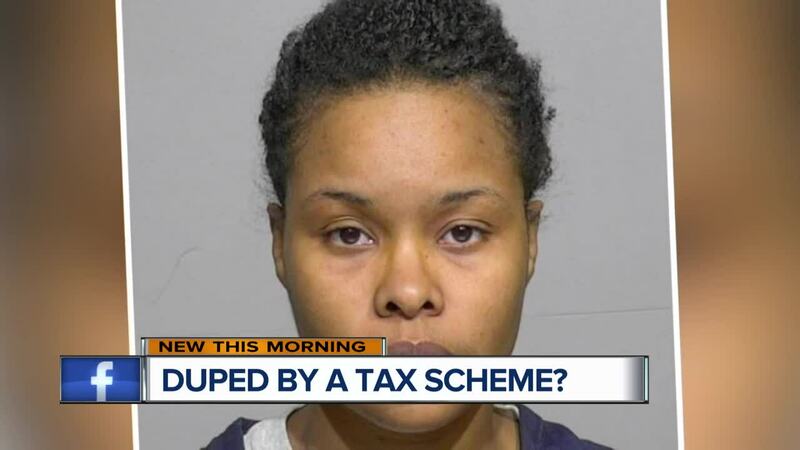 MILWAUKEE -- A Milwaukee business man with a background in law enforcement tells TODAYS TMJ4 he fell victim to a tax fraud and wants to warn other taxpayers. “It still makes me sick. I got screwed,” the man said. The man wished to remain anonymous. He worries being a victim will hurt his business. “Well, you had someone who was very astute and actually appeared to understand all of the verbiage and the policies and the laws around taxes,” the man said. Court documents details what happened. At the end of March, he started wondering where his state tax return was. He called the Department of Revenue and found out "...a tax return check of $3,486 had already been issued to him." The court documents said it was sent to a different address. The man said he called Edwards and this was her response: "I wonder who would do something like that." The following month, surveillance video captured Edwards depositing a check at a credit union on West Layton in Greenfield. “This person had actually cashed my return and opened up an account in another bank,” the man continued. The man eventually received his state refund money. Michelle Edwards has pleaded guilty in this case and she’s expected back in court April 2. Her attorney declined to make a comment. To make sure you are choosing a reputable tax preparation service, the IRS recommends searching their name on its website. You can check their credentials here .